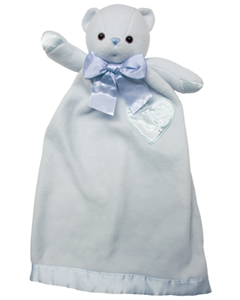 Lovie™ is a cozy character security blanket that becomes a sleepy-time friend. 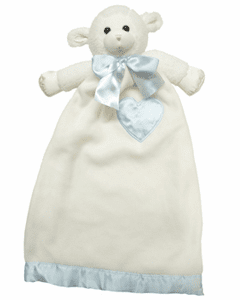 Each Lovie™ is made of soft huggable fleece and has a satin heart and trim that can be personalized. Lovie™ measure 24 inches long and 14 inches at the base. These child favorites have been around since 1991 and have become America's #1 security friend. Each piece comes gift boxed and approved for all ages. 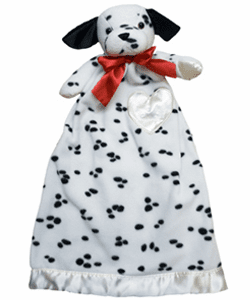 Personalization is above the satin band on the bottom of the blanket unless otherwise specified.